It is always wonderful to have the upper hand on your lawns weeds. They are a nuisance to us as well as our lawns and flowers. So what are we going to do about them? In this post, we are going to discuss using Weed & Feed as a means to show how to fight weeds on your property. What is Weed & Feed? It is a lawn product that is designed to kill weeds and at the same time fertilize your lawn. It is a combination of herbicide and fertilizer. They have an upside and a downside. They work well but are environmentally hazardous if not used properly. You should avoid using this product excessively for the safety of the environment, children, pets and yourself. If used excessively it could also burn your lawn leaving browning in spots. Weed & Feed will kill and feed because of its ingredients. 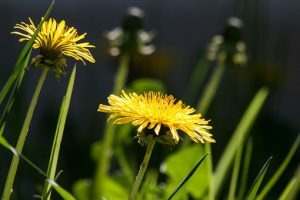 The weed killer ingredient is Dicamba & Mecoprop (2,4 – D) and/or MCPP which targets dandelions.The food has nitrogen, phosphorous and/or potassium to green up the lawn. 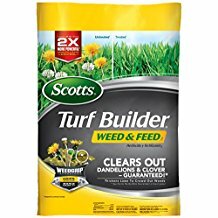 You want to apply this to your lawn when it is wet or damp and weeds are actively growing. 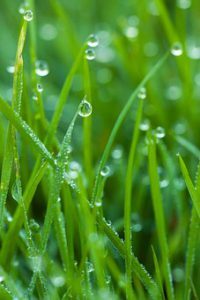 If your lawn isn’t wet you can use a sprinkler to obtain the moisture. You might want to do this for a couple of days. When you are applying it, you don’t want to overuse for the reasons previously mentioned. So to use carefully use a spreader set at 1/2 strength application and make two walk-throughs. Make sure you time it where it isn’t going to rain for at least a couple of days and don’t water the lawn for 2 – 4 days afterward. 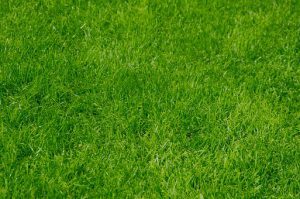 If you have mowed the lawn wait 2 – 4 days because the grass height should be around 3.5 inches tall. Also, use only once or twice a year and no more. This is for the environment sake. This product does stop seed germination so you should not be planting or aerating at this point for at least 4 weeks. Best results would be to use during the Spring & Summer. Then you can seed and aerate in the fall. Remember it will target dandelions & dollar weeds so you will need a crabgrass preventer in the early Spring for crabgrass & other grassy weeds. Remember this is a lawn chemical so help keep the environment, pets and other family members in mind. Read the safety precautions to assist your thoughts and when in doubt consult with your local lawn supply clerks or landscapers for assistance. For those who prefer not to use chemicals, you can be organic and natural by these few steps. 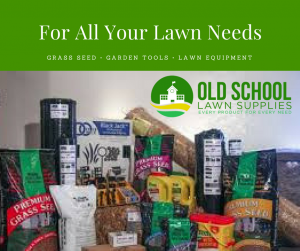 Thanks for visiting our Lawn Care News and don’t forget to get your lawn care needs right here on this site at Old School Supplies. Leave all comments and questions in the comments section. Thanks for pointing out the dangers of excessive use with regards to pets. I have two beautiful chow chows so I am always cautious when using any chemical in my garden. When used normally does the product still pose a treat to animals? My one dog eats the grass sometime. I would say if you put the product down it would be wise to keep your dog out of it for a few days to let it get into the grass and starts to dissipate. The chemicals will get on their paws and dogs do lick their paws. So yeah, I would say to keep them away when first used for a few days to be safe. Good question. I’m glad you asked. I wish I had done my research and come across your site a week ago! I just paid a landscaper a lot of money to come and get rid of my weeds and help with the health of my grass! Going forward I decided that I wanted to keep up on it myself and save myself the money, This was a great article and I bookmarked your website for the advice you have that I love! Thanks for sharing!! No problem that is what I try to do, provides information to people who have lawns. Some things may be too much for someone to do themselves but there are some things you can. Please feel free to sign up for the lawn care tips and never miss a tip as I write them. Thanks for visiting. What a thorough and detailed article about the lawn care. To be honest, I don’ have the slightest idea how to do all this but your tips are great and now it is clearer for me. One day I want to own a house with a huge lawn and I will maintain it following your advises. Wonderful. All it takes is to know what is going on with your lawn and what will help it then how to administer it. Some things can sound frightening but it is not as bad as it seems. May cost you a little work but it can be done. I’m glad you found some good information to help you out. Thanks for visiting and good luck on getting your dream home. Didn’t know about this product. I appreciate the way you presented safety precautions and the recommendations. And of course the extra Tip. Will be sharing this article with my neighbors. Thanks for posting! Thank you for sharing this article. I try to share this news to people because if they knew what was going on with their lawn they could probably take measures in making their lawns look their best. Thank you for visiting.